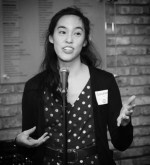 The Ma-Yi Writers Lab is a primary incubator for new play productions by Asian American playwrights and consists of over 35 members. Here’s a sampling of “Labbie” plays coming up in the next few months in regional theaters across America, some of which were developed via the Ma-Yi writers Lab. Is our capacity for love greater than violence? In Northern Uganda, the daughter of an American missionary and a local teenage girl steal into a candlelit church to exchange vows in a secret wedding ceremony. But when an escalating civil war encroaches on their fragile union, they cannot escape its reach. Confronting the cost of intolerance, this powerful drama examines violence, the struggle to rebuild, as well as the human capacity for love and forgiveness. 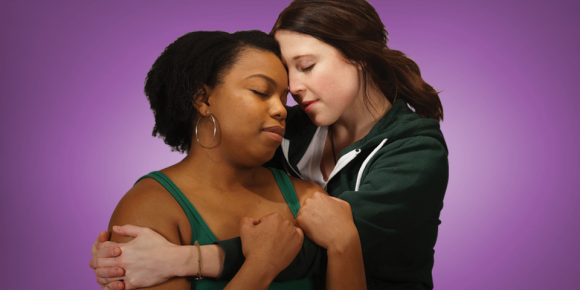 Audience Advisory: This play contains gunshots, strong language and adult content. Park Square begins the new year on the Andy Boss Thrust Stage with the Midwest premiere of Hansol Jung‘s timely drama Cardboard Piano. 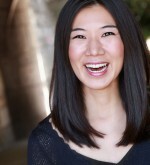 Signe V. Harriday directs the powerful play about romance and redemption against the backdrop of inexplicable violence. The Courier Journal called Cardboard Piano “deeply moving” and “haunting” upon its 2016 premiere at The Actors Theatre of Louisville’s Humana Festival of New Plays. International City Theatre includes Hansol Jung’s Cardboard Piano in its upcoming season starting May 4, 2018. 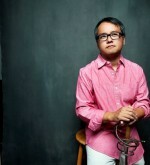 In American Hwangap, a stage play by Korean American Lloyd Suh, the birthday celebration runs bittersweet at best. Suh’s story focuses on Mik Suk Chun, a Korean native who raised a family in West Texas — until he ran away, without warning, to his native North Korean soil. He returns to the place he once called home, finding his ex-wife and now-adult children still angry, still hurt, and just maybe, still loving him. A whirlwind of confrontation and long-simmering feelings follow. 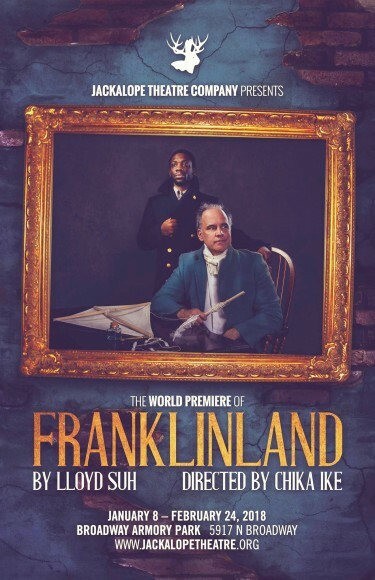 Jackelope Theater presents Lloyd Suh’s Franklinland which examines Benjamin Franklin’s lesser-known invention: his only son. Directed by Chika Ike, the play centers on the younger Franklin’s coming-of-age story. 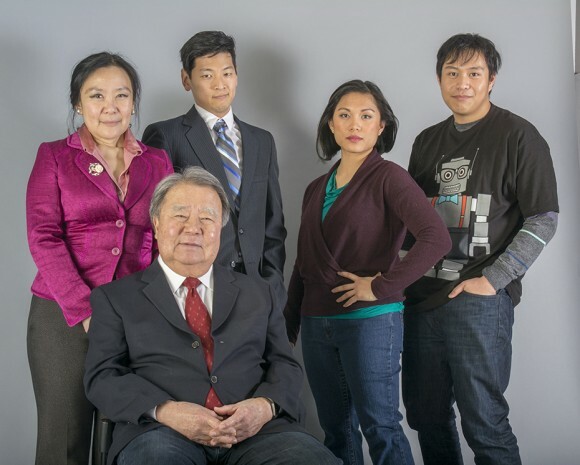 The Denver Center for the Performing Arts (DCPA) and Seattle Repertory Theatre co present the World Premiere production of Lauren Yee’s The Great Leap, directed by Eric Ting. When an American college basketball team travels to Beijing for an exhibition game in 1989, the drama on the court goes deeper than the strain between their countries. For two men with a past and one teen with a future, it’s a chance to stake their moment in history and claim personal victories off the scoreboard. 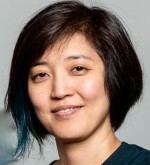 American coach Saul grapples with his relevance to the sport, Chinese coach Wen Chang must decide his role in his rapidly-changing country and Chinese American player Manford seeks a lost connection. Tensions rise right up to the final buzzer as history collides with the action in the stadium. 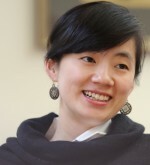 Yee’s unexpected and touching story is inspired by events in her own father’s life. The World Premiere production will open at the DCPA Theatre Company in Denver on February 9, 2018, and then transfer to Seattle where it will open at Seattle Repertory Theatre on March 28, 2018. 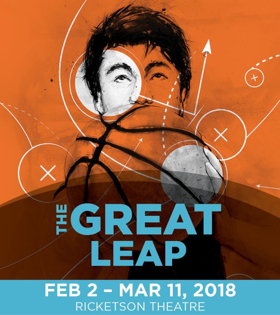 Atlantic Theatre’s 2017-2018 Off-Broadway season also includes The Great Leap by Lauren Yee at Atlantic Stage 2 from May 23 to June 17, 2018. L-R: Corinne Magin (M) and Maile Wong (L). • Photo by John McLellan. By Jiehae Park, Directed by Sara Porkalob, produced by ARTSWEST.ORG, Asian-American twin sisters M and L will do whatever it takes to win the one coveted affirmative action spot at “The College.” But when the thick acceptance envelope falls into the hands of D, a white male colleague who is 1/16th Native American, the sisters will stop at nothing to take back what is rightfully theirs – and eliminate anyone who stands in their way. Jiehae Park’s clever and incisive adaptation of Macbeth explores how the drive to succeed can become an all-consuming – and deadly – obsession. 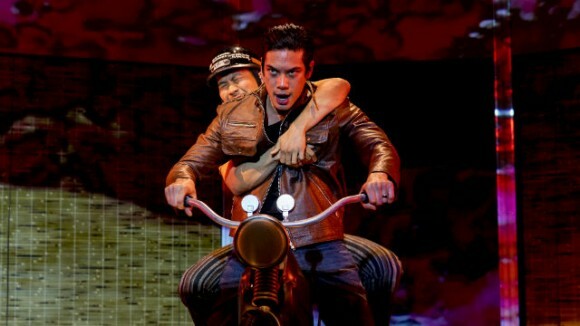 Vietgone, by Qui Nguyen opened at the San Diego Repertory Theatre’s Lyceum Space in January, and is Directed by Jesca Prudencio. 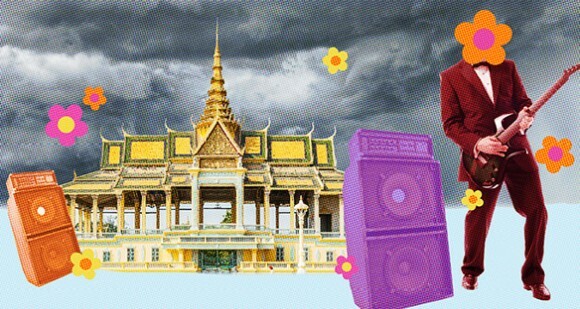 In Vietgone, playwright Qui tells the story of how his parents fled Saigon at the end of the Vietnam War and fell in love at a refugee camp in Arkansas. “For me it’s really important to just remind folks that refugees just aren’t numbers or a political pawn piece being moved around to win votes or lose votes or what have you. That they’re people. 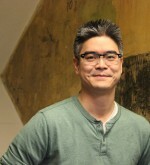 People who have lost a country, people who are just trying to have a life and fall in love and have a family and have the same struggles as anyone on this planet,” Nguyen said. 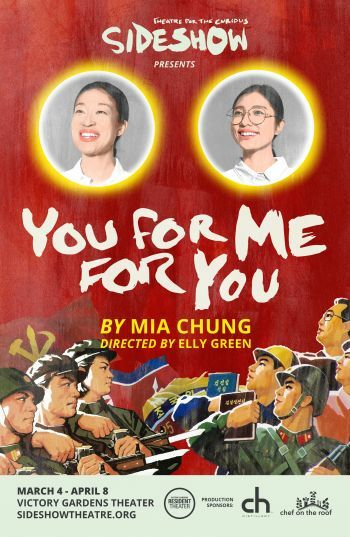 Sideshow Theatre Company launches its eleventh season with the Chicago premiere of Mia Chung’s absurdly inventive smash-hit YOU FOR ME FOR YOU, directed by artistic associate Elly Green*, playing March 4 – April 8, 2018 at Victory Gardens. Two North Korean sisters plan an elaborate escape from the “Best Nation in the World,” only to be separated at the border. Now in two strange and separate worlds filled with outrageous characters, they must navigate barriers of language and bureaucracy, reckon with the ways that culture and country can shape us, and discover that survival requires sacrifice. 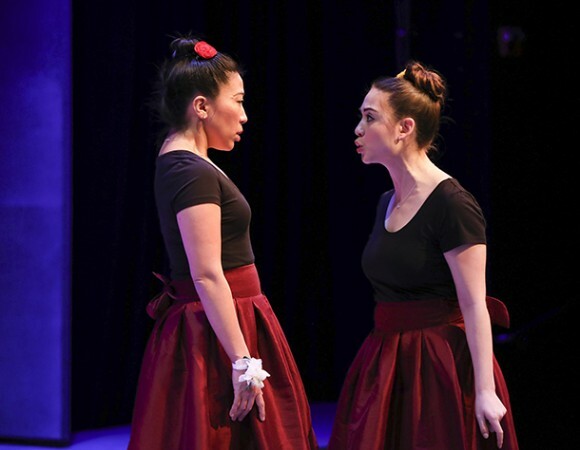 Playwright Mia Chung weaves myth and striking imagery into a deeply affecting and surprisingly funny adventure, portraying the endless lengths to which two sisters will go to find one another again.